Forestry and Timber Industry Worker's Day is a professional day, that is observed by people, whose profession is connected with forestry and timber industry. This international professional day is observed on the third Sunday in September in a number of CIS member countries. This professional holiday was established by the Presidium of the Supreme Soviet in 1980 to commemorate enactment of the first forest legislation on September 18, 1977. The date of observance was moved in order to fall on the weekend. After the collapse of the Soviet Union number of independent states continued the tradition to celebrate this professional day even without it's official reestablishment. At the same time some states officially established Forestry and Timber Industry Worker's Day. For instance, this day was established in Kyrgyzstan and in Ukraine in 1993. Russians and Belarusians officially don't have this observance, but they still celebrate this day. Wood is a priceless ecological and economic resource in many countries. Issues of its efficient usage and reproduction are very important. 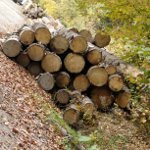 Forestry and timber industry workers have to resolve these issues.